Moving feet for a worthwhile cause. 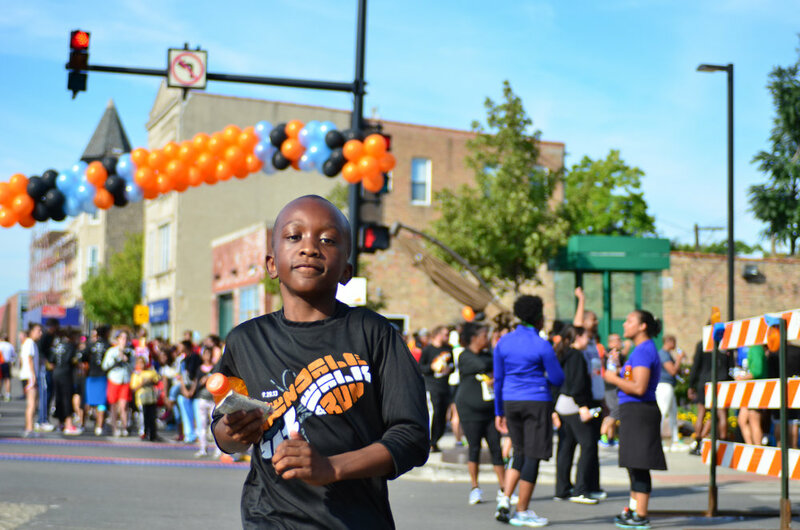 In one of Chicago's most troubled zip codes, the annual Lawndale 5K Walk/Run event is a shining light in the community that draws thousands together for a good cause. 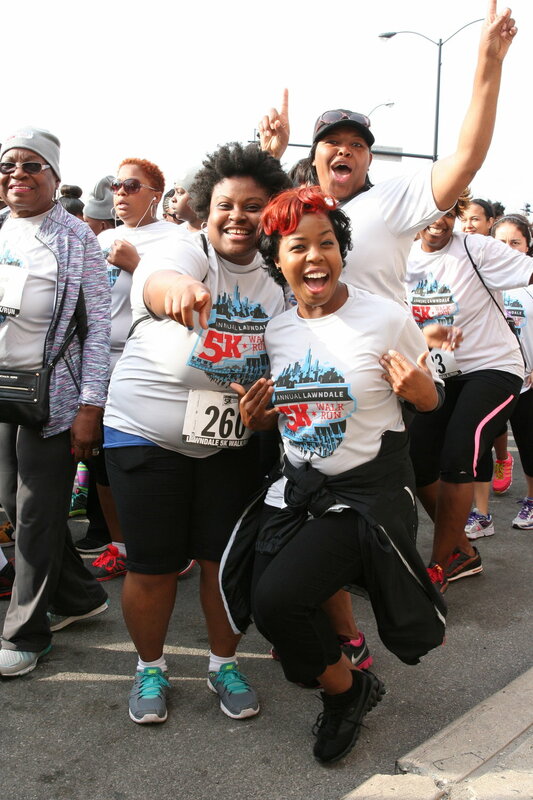 Proceeds from each year's race go to promote wellness and healthy lifestyles for neighborhood residents, most notably to fund programs that work to fight against childhood obesity, a troubling concern for many disadvantaged families in the area. 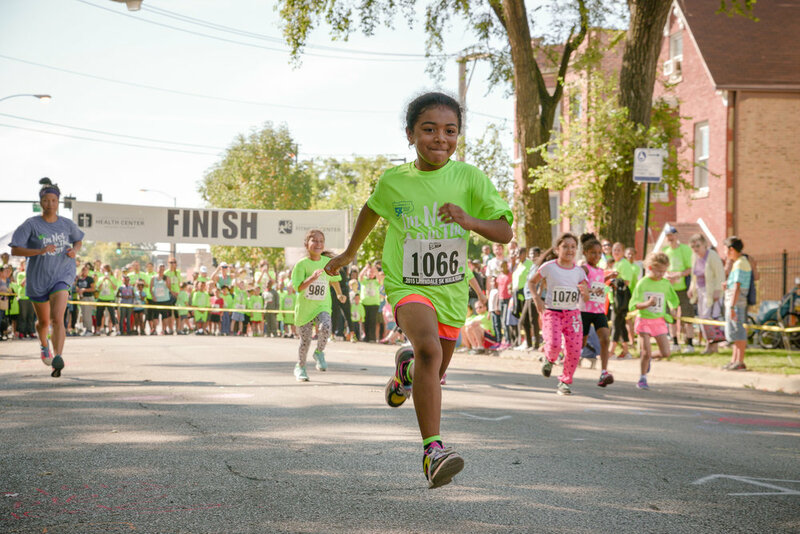 The Lawndale 5K is a family-friendly event with races, activities, and prizes for all age and competition levels. The race begins and concludes on Ogden Ave. right outside of Lawndale Christian Health Center's state-of-the-art fitness and healthcare facility. I've had the pleasure for several years of creating the promotional key art for this event. 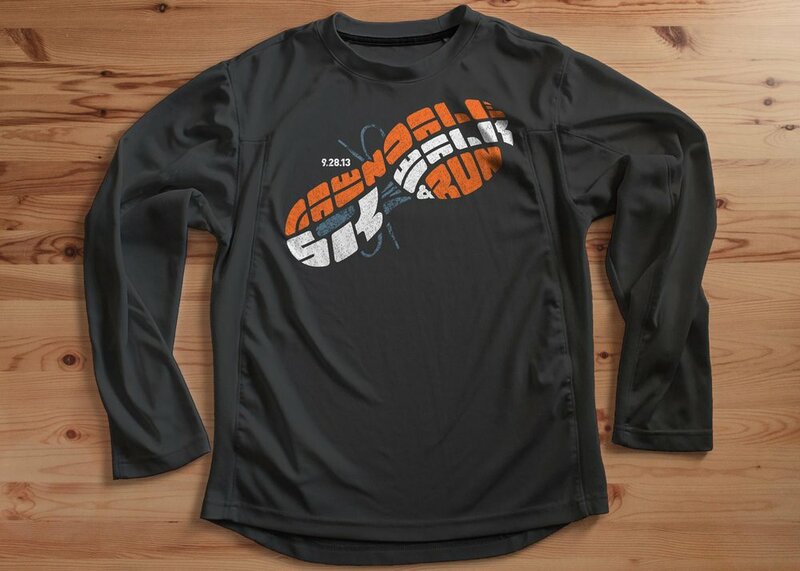 Each year, we worked closely to determine the theme and visual direction, then executed a series of posters, flyers, and postcards; the event website; and race give-away items like tech shirts and caps. 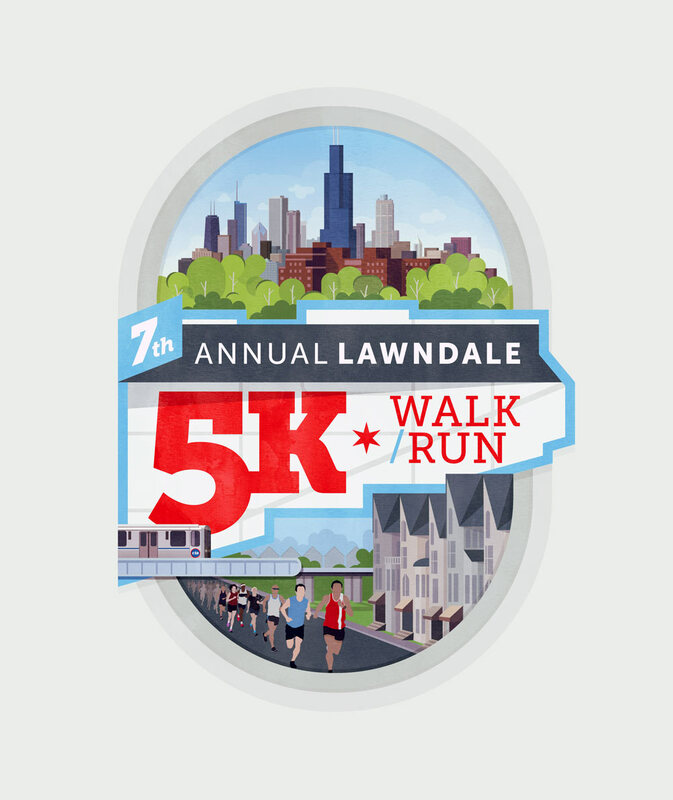 The first five years of Lawndale's 5K event were sorely lacking in the development of a branded approach to promotion and marketing. It was long overdue for the design of a strong visual identity that could catch people's attention in an unexpected way and also serve to generate more awareness about the race and its benefit to the community. I came up with the shoe tread typographic design as a way to cause people to take notice and whet their appetite to lace up a pair and get moving. For the direct mail postcard, I created a photorealistic version of the illustration to raise the wow factor. I reserved the flat version of the design for the posters and tech shirt to give them a cleaner look. 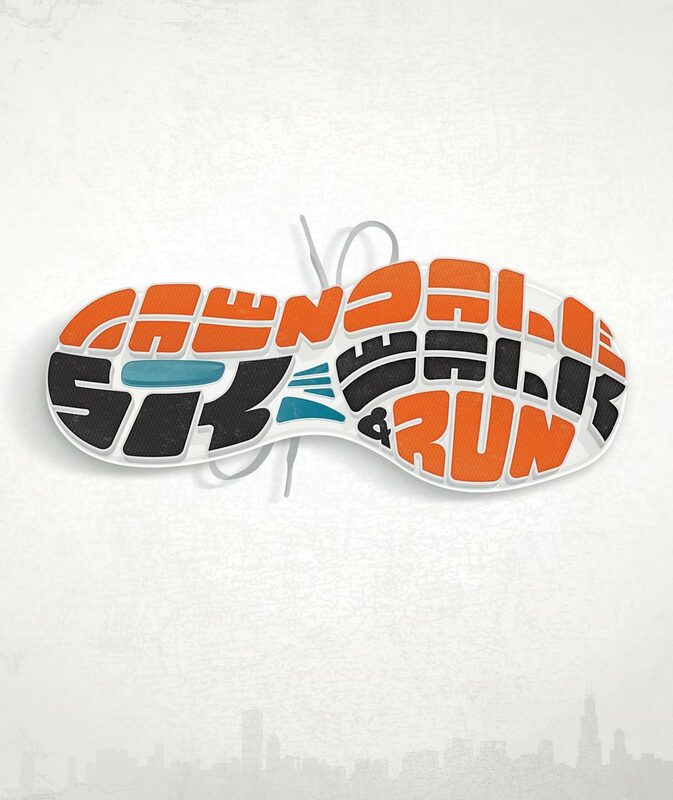 The following year, we worked on promoting the race from the angle of a one-of-a-kind Chicago experience. Lawndale is situated just west of the heart of downtown, and its main artery, old U.S. Route 66 (locally known as Ogden Ave.) offers spectacular views of the city skyline that most visitors to the city have never seen. 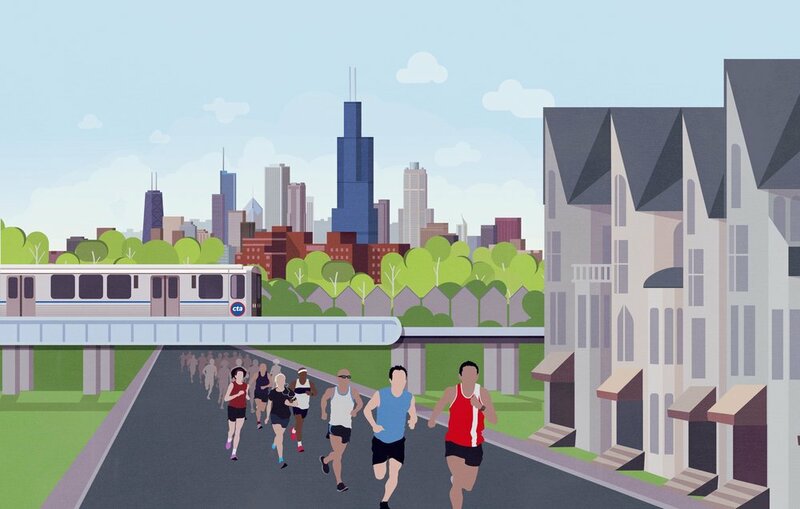 I set out to create a design that would feature this iconic perspective along with some of the local neighborhood aesthetics that make the Lawndale 5K a true Chicago event. This particular year's promotion was also the first in which we utilized the geographical shape of the neighborhood as the primary branding device. This served to further promote awareness and instill pride in the community among the race participants. 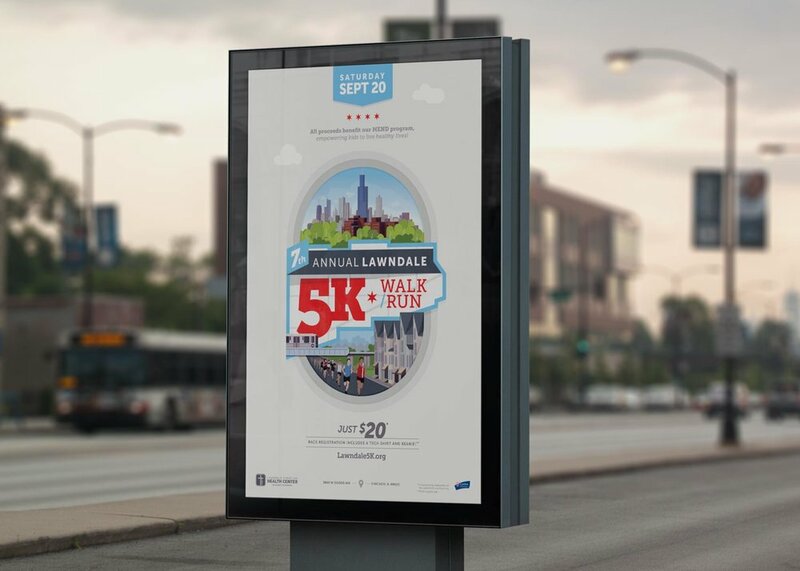 For the third straight year, I had the exciting opportunity to create a fresh promotional campaign for the 5K. This time around, I employed a variety of keywords and phrases to encourage self-motivation as a means of sparking healthy fitness choices and increased race participation, specifically among local residents. 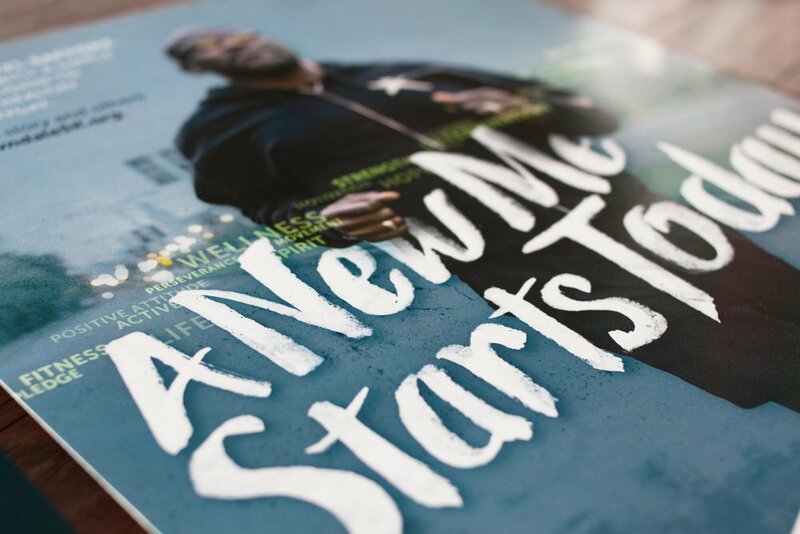 To maximize impact, I recommended doing a series of posters, each one featuring a hand-lettered motivational statement paired with a past race participant's story and original photography commissioned from Matthew Bowie Photography. The previous year's neighborhood map design was further simplified to become the official race logo. The logo served to brand all the various pieces together and provided a strong identity that could be reused for years to come. To share the participants' stories, we tied the excerpt on each poster to the full story on the event website and designed those pages to match the look and feel of the campaign. The website also allowed us more room to share additional stories that weren't included in the poster series. The homepage of the website utilized a long scrolling page to give each story singular focus on-screen. Event photography courtesy of Bernardo Barrios and Lawndale Christian Health Center.